Definitely one of my favorite episodes of the show. I'm really into things involving the classical movie monsters and this one is just marvelous! I especially liked that this is the last appearance of the Pastmaster, the last thing we saw of him is seeing him fall into the fiery abyss. 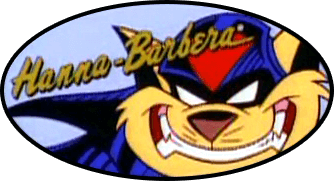 I'd imagined that in the SWAT Kats Revolution, the Pastmaster was stuck under the ruins of Katchu-Picchu this whole time and he just finally dug himself out of there, all charred and dusty, thirsting for bloody vengeance. One thing that I saw pointed out sonewhere is how fast Razor gets up at this point. We see him get smacked by the giant mummy (which is A LOT of force) then he landed on his head when he landed in the giant coffin.